When you are in need of a no thrills and affordable pump, then the Gilbert Quicker Pump does just the job. The pump handle allows for easy and quick inflation, whilst benefiting from a lightweight and convenient size that will easily fit inside your kit bag. All you need to do is remove the needle, moisten it and you are ready to inflate. 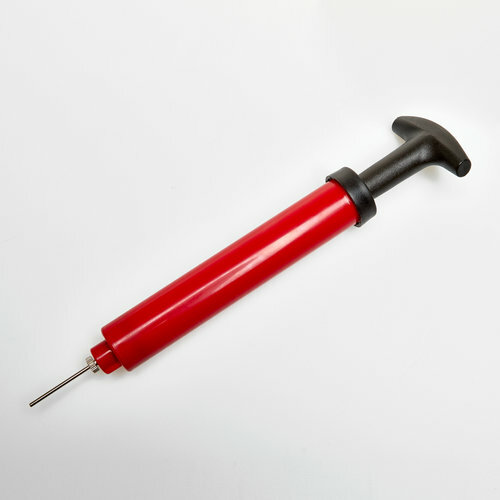 For easy storage, the inflating needle comes with the pump and is stored in the handle.